Why are you wasting money for the return journey, when you are travelling one way? We offer the best one way travel service at reasonable prices. InMysore Travel Agency is one of the well known and Mysoreans favourite travel agency operating in Mysore. Our travels is well versed in offering one way cab service since about 10 years. We are dedicated to provide you a well-maintained and sophisticated taxi or cab from one city to another. 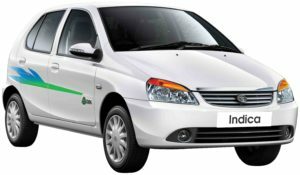 We provide Mysore to Bangalore one way cabs, Mysore to Bangalore Airport one way taxi and Bangalore Airport to Mysore one way cabs. Other prominent routes are Mysore to Coorg one way cabs and Mysore to Ooty one way fare taxi. We at InMysore Travel Agency, have sophisticated AC and non-AC taxi or cabs that are well maintained. We used to pick up from your residing address and drop you to exact drop location. All our drivers possess a commercial driving licence and they are skilled for highway driving. Drivers are so professional, caring and well mannered, who mainly focuses on safe and convenient travel. You are allowed to book your favorite vehicle amongst a variety of cabs for your journey. Reserve one side journey service at InMysore travels and enjoy journey to your destination with ease and convenience at nominal time span. InMysore travels stands Mysore No 1 travel agency by providing first-rate cab or taxi service. We offer you to choose right and preferred vehicle for your travel starting from mini cars to luxury cars. If you are travelling alone or in groups, we provide service for all kinds. Our travels provide you the resilience to choose ideal one side vehicle as per budget and number of people travelling. Our travels gained popularity in travel agency by offering great service and best value for money. We have framed certain rules and guidelines even for the one side cab or taxi hire service. InMysore travels take complete responsibility of providing service at assuring price and best offers for booking service. The main motto of us is to ensure a comfortable journey of our customers and reaching destination safely. If you are looking forward for booking one way cab service? Then InMysore travels is an excellent privilege for you. We offer service packages, where you are allowed to select right options in a cost effective way. If you are not sure about returning journey and looking for one side travel, then you can hire a taxi or cab from our travels, thus save your hard-earned money. What are you still thinking about? Choose preferred car for your one side travel and enjoy travel with great comfort.